Marcia Stein, executive director, City Meals On Wheels, New York, NY* 235,000 ? Ray Offenheiser, Pres. Oxfam America, Boston, MA* 201,000 ? John McCullough, CEO, Church World Service, Elkhart, IN* 180,000 ? ** Mr. Parvensky is paid out of two accounts. According to 2003 IRS 990 forms, he is paid $91,025 plus $10,500 expenses by the Colorado Coalition for the Homeless and $27,750 by the Renaissance Housing Development Corp., an affiliated organization headquartered at the same address. 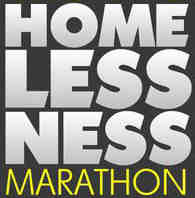 ***** The Homelessness Marathon is incorporated as a non-profit but does not yet have 501(c)3 status from the IRS and is not required to publish its financial records. The Homelessness Marathon will open its bank records to any journalist wishing to make an investigation.